In conjunction with the Wade Center’s “Masters of Modern Fantasy: C. S. Lewis and J. R. R. Tolkien” poster exhibit in High Library on display during the month of April, Drs. 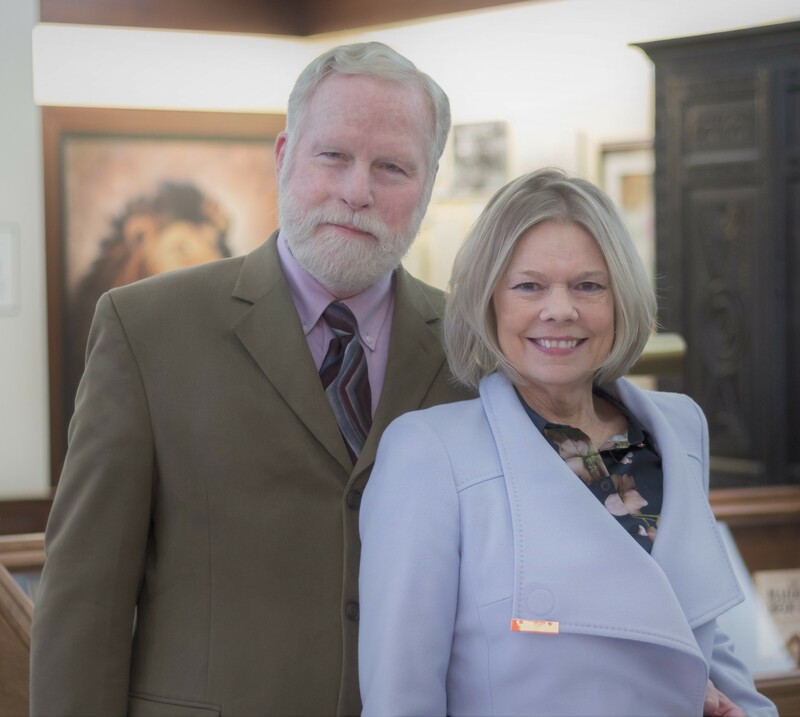 David and Crystal Downing will co-present on their research into primary source materials of the British authors C. S. Lewis and Dorothy Sayers. The event will occur in the library's Winter's Alcove on Monday, April 15 at 3:30 pm. David Downing will discuss how examining Lewis' hand-written notes revealed Lewis’ motive for composing his spiritual autobiography. Crystal Downing will talk about her work as a literary sleuth, discovering in the unpublished letters of detective novelist Dorothy Sayers, an interest in cinema that had previously been overlooked. The Downings currently serve as Co-Directors of the Wade Center at Wheaton College and Co-Holders of the Marion E. Wade Chair of Christian Thought. Prior to joining the Wade Center, Crystal Downing was the Distinguished Professor of English and Film Studies at Messiah College. Her first book, Writing Performances: The Stages of Dorothy L. Sayers (Palgrave 2004), was granted the Barbara Reynolds Award for best Sayers scholarship in 2009 by the international Dorothy L. Sayers Society. David Downing makes his return visit to Elizabethtown College where he served as a Professor of English for 24 years. He has published four scholarly books on C. S. Lewis, serves as a consulting editor on the Lewis for the Publications of the Modern Languages Association, and writes a blog on Lewis at cslewis.com. Questions? Contact Josh Cohen at cohenjp@etown.edu.